There is a gorgeous full moon rising and blessing us with her moonlight. The full moon invites us to release all that dims our light, all that holds us back in the space of our heart and physical environment. So excited to share this clearing process of feminine approach to self & space renewal. Why now? We are at a pivotal moment in history. Unconscious ways of inhabiting the earth feel like heavy weight on our hearts and shoulders. We are slowly awakening, healing, finding our purpose, realizing that acquiring more is not sustainable, kind or loving and ultimately, not the answer to our deepest soul yearnings. We are a species awakening to the realization that we are indeed part of nature and cosmos, remembering how to live more lightly on the earth. The objects that we choose as our dwelling companions are charged with energy, memory and emotion. When we are unable to find our way in the midst of unprocessed memories, energy gets suffocated in the spaces we inhabit. Clutter blocks the natural flow of energy and depletes us. Clutter clearing is a sustainable practice that can help us align with the rhythms of the earth and our own heart as we clear our spaces for new life. When you start feeling confused or burdened with heavy thoughts, feelings, hurts, burdens, patterns. When the spaces of your home are crowded with things that are misplaced, unloved, or out of tune with your soul. Whenever you seem to hit a creative block, feel scattered, inhibited, afraid or simply stuck. When you need a boost of energy, flow, or focus. When you need to simplify your life and move forward. Anytime you want to access the luminosity of your spirit. Release is an emotional process. Clutter clearing is a sustainable practice that liberates energy. It is not just something you do once a year. If you want to feel vital, energized and present to life, experiment with clearing your spaces on a regular basis. When we clutter clear we let go of things we no longer love nor need: memories, objects, emotions and even spaces that have been stagnant for so long are finally released, put in motion. The energy that frees up in this process can propel our spiritual growth on our path to intentional, creative, conscious and mindful, artful living. Light a candle. Set an intention. Invite Spirit to guide you in your release process. Invoke the power of the Goddess Kali for her winds of transformation. Open the windows, play inspiring music, offer a prayer. Start small, with a corner or drawer. What can you release today? Write a list of ‘things’ blocking your flow. Burn the paper safely. Release whatever doesn’t feed your fire and makes you feel out of alignment. Work through the difficult emotions when they arise. Let them flow. Breathe. Be gentle with yourself. I encourage you to let go, kindly, consciously and compassionately. Release your clutter by donating, selling or recycling it. The beauty of this process is that as you let go, you find parts of yourself that you thought long lost. As your space clears, something clears inside. Something awakens, opens, releases, and eases within the natural clarity of your being. 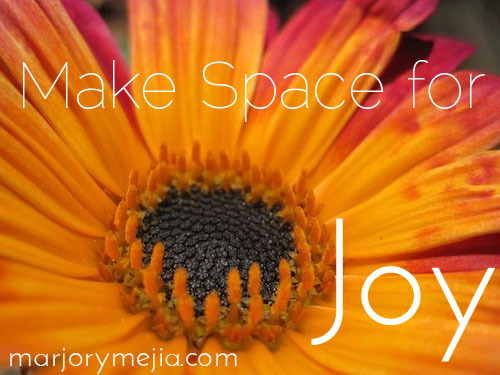 May this practice of clutter clearing awaken rivers of joy, creativity, awareness and spaciousness flow free in your heart, in your space, in your work and and in your life, for the benefit of all. NEXT POST — Sacred Flow in the big apple. What you make space for matters.. Thank you. I love love shells. What a beautiful ritual you have created. Yemaya blessings! Your messages always “ring true”. They are the soft music that eases my soul and takes me within to spirit. Namaste. Thanks Brian, lovely words you share. Namaste. Oh Marjorie, once again, you move my heart. I love the line — a full moon is an opportunity let our own light shine…and free ourselves from anything that has dimmed our light. And how this is all so tied to “spring cleaning’ and decluttering!!! Yes yes yes. I tell you, there have been about 10 women in my life who just told me over the last week or so that they are decluttering and cleaning their spaces out. yes, yes, yes. allowing the goddess within all of us to rise. I love to see you here! Most of us feel the call if we listen. So glad you hear your circle of women is to in tune with nature. Bravo dear. Many blessings. Jai Ma!